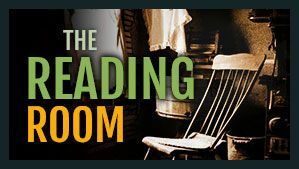 Perhaps when you were a child, you were scared that something spooky was lurking in your bedroom closet or was hiding under your bed at night. But interestingly, while fear of the dark is most prevalent in children ages four to six, a Gallup poll reveals than five percent of adults still have an unreasonable fear of the dark. This traumatic fear of the unseen things within the darkness is called Nyctophobia. Of course, most people don’t worry about the boogeyman, aliens, or gremlins. 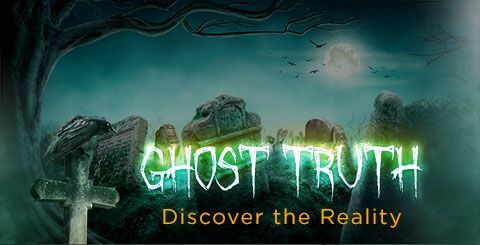 No claims of those things that go bump in the night—including ghosts and the spirits of the dead—have ever been seriously substantiated. 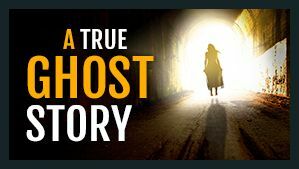 Yet while many people laugh off all claims of these encounters, it’s worth noting that the Bible itself suggests there are indeed supernatural forces at work in our world, harassing humans and causing them real dismay. As we’ve seen on this website, we can know with certainty that this harassment isn’t from angry ghosts haunting homes. The Scriptures explain that a perfect angel named Lucifer was cast out of heaven long ago. “How you are fallen from heaven, O Lucifer, son of the morning!” (Isaiah 14:12). The Bible says, “War broke out in heaven: Michael and his angels fought with the dragon,” Lucifer, who is now known as Satan (Revelation 12:7). Where did Satan go when he was cast out? “He was cast to the earth, and his angels were cast out with him” (verse 9). According to the Bible, fallen angels have made their headquarters here on the earth. The Bible is also plain that these beings can not only harass people, they can possess them. For instance, Christ instructed His disciples to “cast out demons” (Mark 16:17). Demons appear to have names and can sometimes speak through humans (Mark 5:1–10). The apostle Paul encountered a young lady “with a spirit of divination” who “brought her masters much profit by fortune-telling” (Acts 16:16). 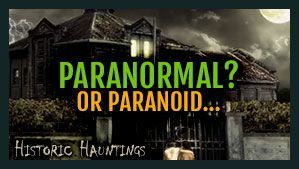 To be clear, most eerie experiences at night are not supernatural and can be easily explained. A cat may have jumped on a dresser and knocked something onto the floor. It’s also true that some people’s odd, so-called “demonic” behavior is merely the result of chemical imbalances in their bodies. Yet, according to the Bible, there are times when people have given themselves over to evil angels. These dark spirits, at different levels and in different ways, can take partial or total possession of their minds. Not all harassments by fallen angels, however, are this dramatic. Satan is a deceiver and can use subtle ways to harass and tempt us from leaving the safety of Jesus Christ. Unfallen angels rarely rely on scary demonstrations to influence us, but most often work quietly to make our lives miserable. 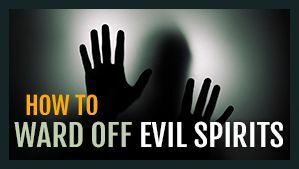 If you believe you are being harassed by an evil spirit, whether in the form of subtle but ongoing temptations, actual physical harassment, or even possession, is there anything you can do to overcome it? We find the answer by looking at the life of Christ. Early in Jesus’ ministry, He encountered evil spirits. One time it even happened in a place of worship. “There was a man in their synagogue with an unclean spirit. And he cried out, saying, ‘Let us alone! What have we to do with You, Jesus of Nazareth? Did You come to destroy us? I know who You are—the Holy One of God!’ ” (Mark 1:23, 24). Notice what happened: “Jesus rebuked him, saying, ‘Be quiet, and come out of him!’ And when the unclean spirit had convulsed him and cried out with a loud voice, he came out of him” (verses 25, 26). Christ did not spend a long time having a conversation with a demon. He cut to the chase and commanded them to flee. 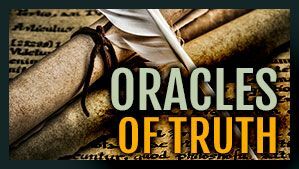 Witnesses to the event said, “With authority He commands even the unclean spirits, and they obey Him” (verse 27). The Bible says God created mankind “a little lower than the angels” (Psalm 8:5). While we do not have the power within ourselves to defeat demons bent on causing us grief and leading us away from God, we can know that the “angel of the Lord encamps all around those who fear Him, and delivers them” (Psalm 34:7). It is only through power from God that we can rebuke the devil and his angels to leave us alone. God created all things, even angels, and is more than powerful enough to help you in your time of need. If you are under attack by evil spirits, call upon God in the name of Jesus Christ for help. Pray to the Lord for your freedom. Draw as close to Him as you can by repenting of sins in your life and in reading your Bible and praising Him through worship and song. You can find special strength and encouragement in such Scriptures as Psalm 56:3, Proverbs 3:23–26, and 2 Timothy 1:7. When you find yourself spiritually weak and ready to give in, go back to the well of Bible truth and His promises to be refreshed again and again. And if you feel you need special help from a spiritual leader, you can also request special prayer and anointing at your church. We would be happy to pray for you; just click here to contact us. Finally, and most important, take time every single day to put on the armor of God, remembering that “we do not wrestle against flesh and blood, but against principalities, against powers, against the rulers of the darkness of this age, against spiritual hosts of wickedness in the heavenly places” (Ephesians 6:12). We should “put on the whole armor of God” (verse 11) to combat these powers and to be a light for others. Read Ephesians 6:10–20 to learn more. And never forget—whenever the devil tries to tempt or harass you, “You are of God, little children, and … He who is in you is greater than he who is in the world” (1 John 4:4).